Quake mythical movements, now in Minecraft. Squake Mod 1.10 and 1.10.2 is a mod based on the movements of the legendary character of the Quake game. That is, with this mod we can make movements Quake in Minecraft, this includes sharking, jumping and trimping bunnyhopping. The movements that allow this mod are quite “rough” compared with the normal movements in Minecraft, so the mod also eliminates the loss of speed to suffer falling damage. That is, the important here is speed. If you have never played Quake, in the video below you will see an example of what they represent these new movements for our Minecraft character. 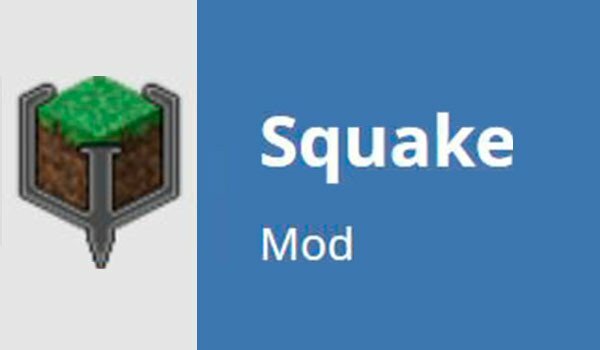 How to install Squake Mod for Minecraft 1.10 and 1.10.2? Paste the “Player API Core” downloaded file into .minecraft/mods folder. ¡Now you can move like in Quake, but in Minecraft!